In our dairy-filled world, eating out can seem tricky. But this section should help! It’s our online restaurant guide for dairy-free dining. 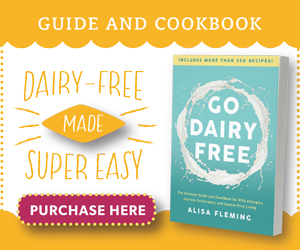 These tips are excerpted from my bestselling book, Go Dairy Free: The Guide and Cookbook. The book also includes specific ideas for ordering at various restaurants and more helpful information. Go Dairy Free 2nd Edition is available via all major booksellers, including Amazon and Barnes & Noble. On the dairy-free dining path we’ve stumbled across a strange coincidence; dairy-free advice and healthy eating advice are virtually the same. What fantastic news! Consumers who choose to go dairy free will open themselves up to healthier restaurant habits. Could this mean no more sluggishness and belly bulge due to restaurant splurges? Possibly. If I must be honest, we typically eat out more now than we did before going dairy free. Yet weight gain hasn’t been a problem, at all, and our energy levels are always peaked. Just remember, your choices will not be limited, just shifted. Pick your Restaurant Wisely. If you have any say in the venue, select a dining spot that may be able to accommodate your special diet requests with ease. Our Recommended Restaurant Listings can offer some suggestions if you don’t already have a location in mind. Ask Questions. This is by far the most important tip. Don’t be afraid to inquire on the ingredients of a dish, or to ask for any changes to a menu item. Any good waiter will be able to help, or will not hesitate to go ask the chef. 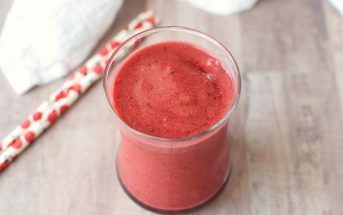 Food allergies are growing at a rapid pace, low carb dieters are demanding bunless burgers, and weight loss fanatics are requesting smaller portions. The hospitality industry recognizes the need to respect those with special diets as a key to success. In fact, research shows that an increasing number of restaurants are providing flexibility in food preparation methods, varied portion sizes, and expanded menu offerings. Avoid Fried Foods. This one is important for dairy-free consumers, as milk products may linger within coatings, and it is crucial for a healthy diet and lifestyle. Fried foods are laden with fat and “miscellaneous” ingredients. Also, the chemical properties of cooking oils are altered when used at such high temperatures. The damage that this can cause to our bodies is a whole other subject. Choose Heart Healthy Oils. The menu will usually specify if a dish is cooked in oil or butter, but if in doubt, just ask. Most kitchens will have vegetable and olive oils on hand. Also, when ordering whole meats, fish, or vegetables, request that butter is not added. Some chefs add a pat to grilled and steamed foods for flavor. Go Mediterranean. When ordering pasta dishes, look for tomato- and olive oil-based sauces rather than cream-based sauces. You will save yourself loads of saturated fat, and the tomato sauce can even be counted as a serving of vegetables. Dress Lightly. Oil & Vinegar, Honey Mustard, French, and Vinaigrettes are typically dairy-free salad toppers. Avoid the heavy ranch and blue cheese choices. Mustard, ketchup, BBQ sauce, and mayonnaise are usually dairy-less, but keep it light to limit your sugar and fat load. Play It Safe. Ask that your condiments and salad dressings come on the side. This is a very common request that most women have made more than a few times. Benefits include portion control and the ability to give the condiment a once over before drenching your greens. I’ve ordered a dressing that I was sure would be dairy-free, only to have it arrive as a creamy white dairy cream sauce. Since it was on the side, I was able to verify and have it swapped before ruining my salad or accidentally eating it. Double-Check on Cheese. Chefs LOVE to sprinkle Parmesan on just about everything. Even if you’ve told your server that you are ordering dairy-free, it doesn’t mean that your message has been fully conveyed to the cooks. I’ve learned the hard way to always say, “and there won’t be any cheese on that?” for just about everything I order. Soup or Salad? Salads are an excellent way to get your greens. Mind the salad dressing tips above, order it without cheese, and you are good to go! Soups are often a heartier selection, and the dairy free choices abound. Many restaurants are even serving up vegan “cream” soups. Although several appear obvious (chicken noodle, vegetable, chili, split pea), your best option is to ask what dairy-free soups are available. Take a Meat Break. Most restaurants have added a vegan option or two to their menus over the past few years. 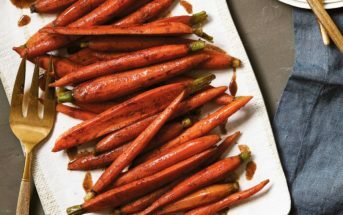 Although most are noted as “vegetarian” (meatless), the growing trend of cutting out all animal products has turned most vegetarian dishes into vegan ones (meat and dairy-free). Unload That Potato. Skip the sour cream, butter, and cheese that come on a “loaded” baked potato or are whipped into mashed potatoes. Salsa, non-dairy salad dressings, or a touch of salt and pepper can add ample flavor to a baked potato. Better yet, choose roasted, steamed, or boiled potatoes. Get Out of the Butter Rut. Many restaurants offer fantastic dips and spreads for your bread, appetizers, and meal. Experiment with flavored oils, sweet and savory salsas, tapenades, fresh guacamole, or hummus. Cook It Right. Selecting menu items that are baked, grilled, dry-sautéed, broiled, poached, or steamed will yield the healthiest food as well as better odds at a dairy-free plate. Of course, always double check that butter wasn’t added, as you might not be able to see it on the finished meal. Keep Recipes in Mind. However you used to make it at home is probably how they are making it at the restaurant. 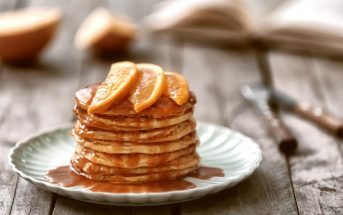 Pancakes, waffles, scrambled eggs, and other traditional fare are typically made with a good helping of milk. Watch for Diet Fads. The new diet and health options listed on menus are typically cream & cheese-less. Take It Black. Have your coffee and tea sans milk and cream. Ask if they have soymilk, you will be surprised how many places do. If you are concerned, bring along your own packet of soy or rice based creamer. Save Dessert for Later. Still craving dessert? Head home for one of your own dazzling recipes or store bought treats. Restaurant desserts are typically quite heavy (translation, full of cream and butter). If you must, fruit and sorbet options are usually safe. 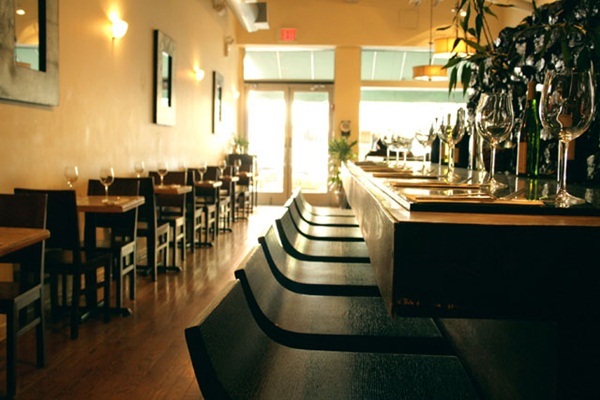 And our absolute FAVORITE dairy-free restaurant guide tip…drum roll please…. Go Ethnic. That’s right, we dairy-free consumers eat like well-traveled food connoisseurs, even if we’ve never left the continent. Thai, Chinese, Vietnamese, and Japanese are all virtually dairy free. African, Indian, Greek, and Italian require a bit more care, but these cuisines are also loaded with numerous dairy free options. See the Dining Out section in Go Dairy Free for “red, yellow, and green light” choices among the various types of restaurants. Go Green. Opt for the salads, sans cheese, and reach for the vinaigrette, honey mustard, and French dressings. With fast food, dressing almost always comes on the side. Ask what your options are, check the ingredients where readily available, or go without! Eat Real Food. Choose the most “whole” looking options. If it is fried, and thus unrecognizable, it is probably in a coating with unknown ingredients. Head East. Asian fast food eateries, as well as Asian menu options, abound. Avoid the fried dishes if you can, this should still leave you with a myriad of choices. Think South of the Border. Fresh Mex was a growing trend in the ‘90’s and may still benefit you today. Homemade salsas and tortillas stuffed with a mix of creations; hold the cheese and sour cream, please. Pick the Best. Sandwich shops and delis vary in quality, but a good sandwich needs no cheese. Mayo is almost always dairy free, but use it lightly for the sake of your overall health. Avoid the croissants though; there is enough butter in these to make anyone’s stomach churn. Check the Soup Board. Bean, Tomato, Vegetable, Mexican Tortilla, Split Pea and the ever so popular Chili – most fast food places have daily soups, but you may have to look around. Treat Yourself. Seek out the “fancier” fast food restaurants. 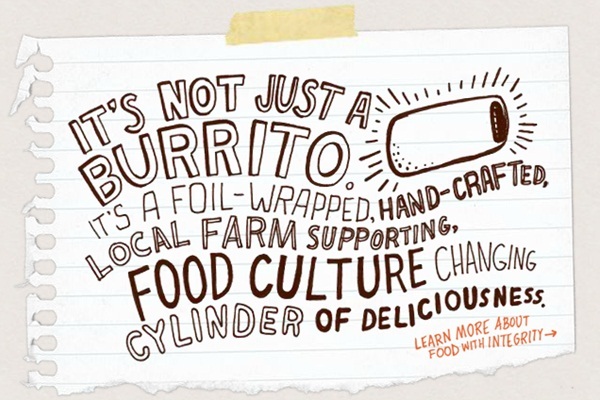 Thank goodness for the growing trend of “fast-casual” chains. They try to offer the quality foods of nicer sit-down restaurants in a fast food atmosphere. Check out our Top 10 fast food picks and our “Little Guys” list for some fast casual suggestions. Try Middle Eastern Fare. Check out the Greek and Indian options. Many of these dishes are dairy free. For both countries the primary dairy staple is yogurt, lowest on the offensive list for the lactose intolerant. Also, the yogurt is usually in the form of a sauce, which you may opt out of. Always ask the “chef”, they should know which dishes were prepared without milk products. Always Ask. Never hesitate to ask at the smaller or fast-casual chains if the product contains dairy. If you inquire at the golden arches, you are likely to get a blank stare, but these emerging fast food eateries are targeted more specifically at the health conscious consumer and the special dieter. If they don’t know, most fast food eateries (including the golden arches) have a handy book or poster of ingredients prepared. These days, many even have food allergy charts or menus. See our fast food listings for links to many of these. Use Good Judgment. For the majority, a dairy free lifestyle is very straightforward. Scan the menu for your best, and most enticing, options. It is likely that you will quickly learn to pick the winners! Plan Ahead. You will always need to check that the menu item is still being prepared “safely” for you and that the ingredients have not changed, but it may help to take a peek at our fast food listings to be prepared with a short list of possibilities. Remember, the above tips are general guidelines, but there are no dairy-free guarantees when dining out. When in doubt, ASK! Also, those with severe food allergies should use extra caution as cross-contamination of milk and other food allergens is highly possible in restaurant kitchens. 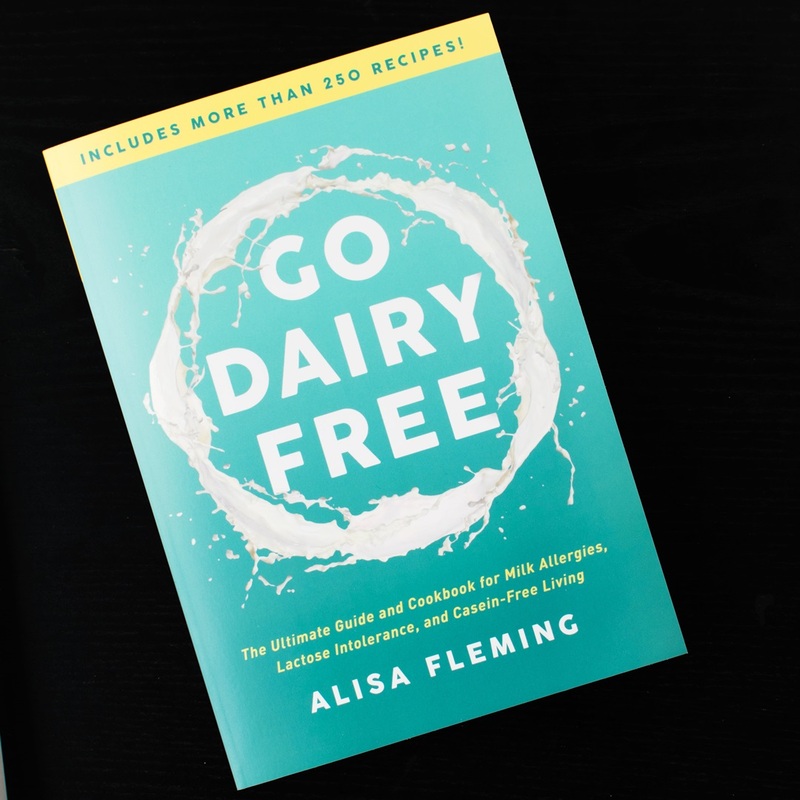 For more helpful tips and information on restaurant dining and other dairy-free lifestyle needs, get the 2nd Edition of Go Dairy Free: The Ultimate Guide and Cookbook for Milk Allergies, Lactose Intolerance, and Casein-Free Living!